Well, another year is upon us all and we are back in the thick of it all! No sooner had I finished my Christmas dinner, and I was plunged head first into a year of new compositions, arrangements for Nova Swing, gigs and guest appearances and teaching again! It goes without saying that I love it all though. I am especially enjoying the webcam lessons that I’m giving in Australia and around the globe, as well as the ease of use of this beautiful new site that Hyperweb here in Newcastle have designed for me. This post is about a few great gigs coming up! Andy Firth’s Nova Swing will be giving a special 2 hour concert on Feb 25th at the Newcastle Jazz Club (Charlestown Leagues Club) from 2-4pm. 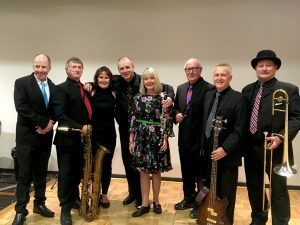 The concert will feature brand new arrangements of Dixieland & Big Band hits as well as feature the band’s songstress, Julie Wilson on some classic jazz standards. Bookings and Tickets. Be early to avoid disappointment as Nova Swing gigs generally sell-out on the day. 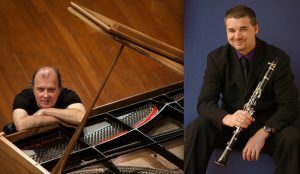 March 10th 2-4pm: Virtuoso Jazz Pianist Kevin Hunt and I will be giving a 2 hour concert at the Kiama Jazz Club for their 2018 Jazz Festival Celebrations. 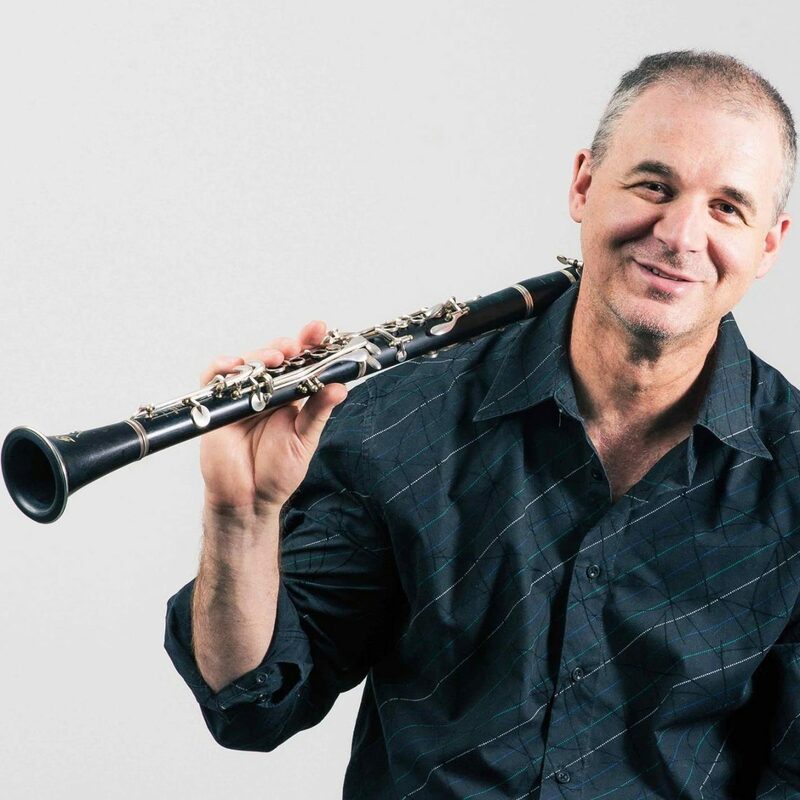 This concert will feature duo arrangements of everything from Bach to the Beatles with a special emphasis on the recordings and work of Benny Goodman and Teddy Wilson. 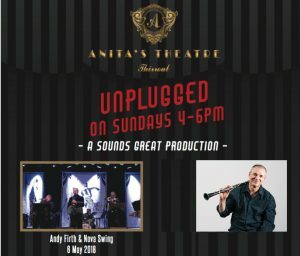 Andy Firth’s Nova Swing is thrilled to be invited to perform the first jazz concert in an exciting new series of “Unplugged”concerts at the famed Australian rock venue, Anita’s Theatre in Thirroul NSW. Nova Swing will be giving a 2 hour concert entitled “Jazz Jukebox” which will feature the biggest and best hits from jazz music’s long and colourful history. This concert will be heald from 4-6pm at Anita’s Theatre Thirroul on May 6th. Tickets and Bookings.